1772-1855. Harper was born on 18 September 1772 at Chatham, Kent, the son of a lieutenant in the navy. His younger brother died whilst serving as a lieutenant of the Lutine 32, Captain Lancelot Skynner, which sunk off the Netherlands on 9 October 1799. Harper entered the navy in March 1781 as a captain’s servant aboard the Bellona 74, Captain Richard Onslow, removing to the Britannia 100, Captain Benjamin Hill, which flew the flag of Vice-Admiral Hon. Samuel Barrington in the Channel during 1782, and in which ship his father was a lieutenant. He was present at the Relief of Gibraltar on 18 October, but two days later his father was killed in the action with the Spanish fleet off Cape Spartel, following which Harper was taken under the vice-admiral’s protection. Admiral Hon. Samuel Barrington guided Harper’s early career following the death of his father in action. Enjoying Barrington’s patronage, Harper was employed during the peace at Portsmouth, seeing service aboard the Edgar 74, Captain Adam Duncan, and the Triumph 74 and Barfleur 74, both commanded by Captain John Knight and flying the flag of Vice-Admiral Sir Samuel Hood. He subsequently joined the Pomona 28, Captain Henry Savage, seeing service on the African station and in the Channel from the summer of 1789 through the Spanish Armament of 1790 until the end of the Russian Armament in October 1791. Further peacetime service was aboard the Duke 98, Captain Robert Calder, flying the flag at Portsmouth of the commander-in-chief, Vice Admiral Robert Roddam, the cutter Sprightly 10, and the Portsmouth guardship Edgar 74, Captain Albemarle Bertie. At the commencement of the French Revolutionary War in 1793 Admiral Barrington secured Harper a berth aboard the Boyne 98, Captain Hon. George Grey, flying the flag of Vice-Admiral Sir John Jervis, whose expeditionary force went out to the Leeward Islands in late 1793. During the campaign of 1794 Harper commanded a flat-bottomed boat at the capture of Martinique, and he was rewarded by being commissioned lieutenant on 21 February. Joining the sloop Avenger 16, Captains Edward Griffith and Charles Ogle, he earned acclaim after taking a six-oared guard boat into the Carenage under cover of a rain shower during the siege of St. Lucia, and bringing out a fully manned French 10-gun schooner whose crew had been sheltering below decks, and who suffered for their naivety by having the hatches battened down on them by the boarding party. He later saw service ashore at the reduction of Guadeloupe before the Avenger returned home to be paid off at Portsmouth in October 1794. Harper next joined the Defence 74, Captain Thomas Wells, in which he went out to the Mediterranean and fought at the Battle of Hyères on 13 July 1795. 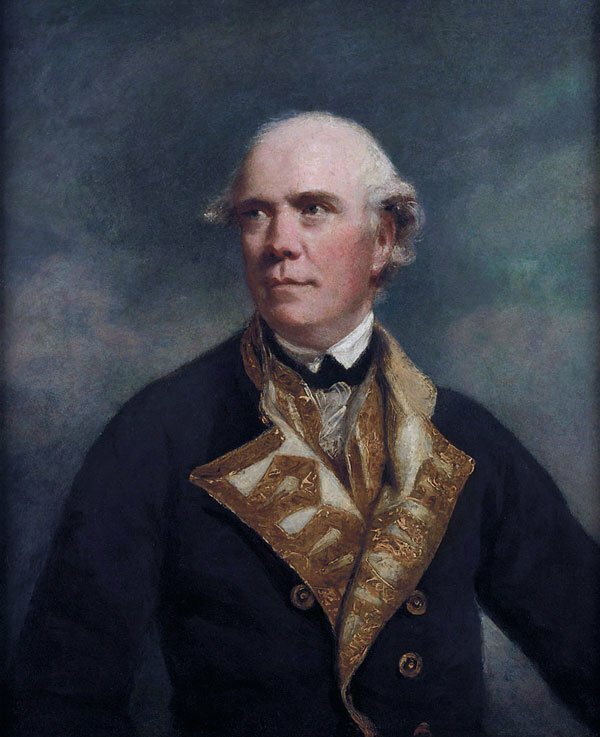 Continuing with the Defence in the Mediterranean, he was active in the various boat actions off Cadiz during the summer of 1797, and saw further employment under Captain William Brown before serving as second lieutenant to Captain John Peyton at the Battle of the Nile on 1 August 1798. During this period he had the misfortune to suffer a serious fever which affected his ship whilst it was watering at Syracuse, one from which many of the Defence’s crew died, and one that it was believed he too might not survive. During 1799 the Defence was commanded by Captain Lord Henry Paulet, being employed off Lisbon and Cadiz, and in the Mediterranean following the breakout of the Brest fleet on 25 April. In December 1799 Harper rejoined Captain Thomas Wells aboard the Glory 98 in the Channel fleet, on which vessel he remained until she was paid off at Chatham on the peace in April 1802. On 27 October 1804 Harper was appointed to the Wasp 18, Commander Hon. Frederick Aylmer, seeing service in the Mediterranean, and from March 1805 off the coast of Portugal under Commander John Simpson, which officer he followed to the Star 16 in October 1805 after the Wasp had brilliantly managed to evade the pursuit of the Rochefort squadron two months earlier. Commanding two score men in the Star’s boats, Harper cut out a Spanish privateer lugger in January 1806. In January 1807 he joined the Excellent 74, Captain John West, which ship went out to the Mediterranean in June after fitting out at the Nore, and whose crew garrisoned Fort Rosas until relieved by the Fame 74, Captain Richard Bennett, and by Captain Lord Cochrane during the Catalonian campaign of June-November 1808. As ever Harper remained active in the ship’s boats, boarding six Italian gun-vessels in Duino Harbour near Trieste on 29 July 1809 under the covering fire of two sloops, and not only capturing them but also bringing out their convoy of ten laden coastal vessels. Receiving a letter of approbation from the Admiralty and warm praise from the commander-in-chief, Vice-Admiral Lord Collingwood, he was most unfortunate not to obtain a promotion in respect of this exploit. During September he took two boats to disperse a body of French troops protecting a large armed schooner which had grounded under a heavy battery near Brindisi, and which he then set on fire. In November 1809 Captain Edward Griffith assumed the command of the Excellent, whereupon she returned to serve in the Channel. On 17 April 1810 Harper was at long last deservedly promoted to the rank of commander, but it was not until 19 August 1812 that he received a commission, being appointed to the shallow-drafted sloop Saracen 16. Just four weeks later, and with only a scratch and most incomplete crew, he captured the Calais privateer lugger Courier 14 and drove off her consort near Beachy Head. Going out to the Adriatic thereafter, Harper escorted a convoy from Malta to Smyrna, the modern-day Izmir, and at his own request was transferred from that station to the Adriatic to serve under the overall command of Rear-Admiral Thomas Fremantle. On 17 June 1813 he led the Saracen’s boats containing forty men in the storming of the Dalmatian island of Giuppana, known to the Navy as Zupano, which success was achieved after a three mile march, and in the face of a garrison of fifty-two men, thirty-six of whom were made prisoner. This action also facilitated the capture of the nearby island of Mezzo after a siege of several days, in which he was joined by the Weazle 16, Commander Andrew James Black. 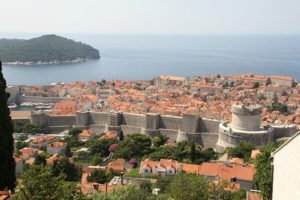 Thereafter Harper led the blockade of Ragusa, which is the modern-day Dubrovnik, and the Boca di Cattaro, which is the modern-day Bay of Kotor in Montenegro, whilst his own command and several tenders kept the hostile coast in constant alarm. In September Harper even had the temerity to take a party of two dozen men ashore and round up some fifty oxen, which he transported offshore in fishing boats. In October he subordinated his vessel to Captain William Hoste of the Bacchante 38 and sailed for Castelnuovo, the modern-day Herceg-Novi, to assist the local population who were in rebellion against the French. The two ships forced their way to a favourable anchorage three miles from the town on the evening of the 12th, and that night Harper commanded the boats and two Sicilian gunboats which under fire from a French battery on the nearby island of San Giorgio took possession of four enemy gunboats that were themselves in a state of revolt. After landing to find an enthusiastic populace willing to take up arms against their occupiers, Harper was then able to attack and force the surrender of the French garrison of one hundred and forty men on San Giorgio. Remaining in the Boco di Cattaro, Harper was ordered to blockade the only remaining fort in French hands, to which six hundred men had retreated. As this was about fifteen miles upriver, and both the wind and current were against him, he employed the locals to haul him along by heaving on a hawser which was attached to the Saracen’s fore-masthead. 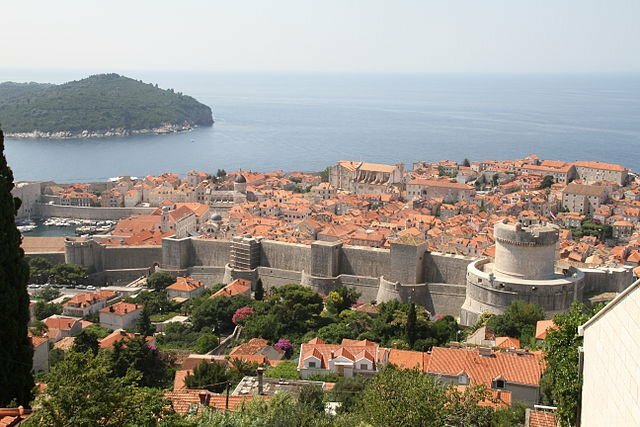 By the 20th the Saracen was able to anchor within reach of Cattaro, the modern-day Kotor, from where Harper immediately proposed to haul a gun up to the heights above the town. Despite the local French general’s mocking assertion that it would take six months to erect such a battery, the Saracen’s men began the task on 29 November and had it completed before Christmas. Upon the return of Hoste’s Bacchante a siege was opened, and following ten days battering the French realised the hopelessness of their position and agreed the surrender of Cattaro on 5 January 1814. Three weeks later, on 28 January, Ragusa surrendered after the two ships had acted in concert with British and Austrian troops. Captain Harper was subsequently present at the blockade of Venice under the orders of Rear-Admiral John Gore, and following its surrender he took the Saracen up through the canals for some twelve miles to anchor near St. Mark’s Palace. To honour his Adriatic achievements he was later rewarded by the Emperor of Austria. On 7 Jun 1814 Harper was posted captain, and after service in North America he returned to England on 26 October 1814. Just over two weeks later he took command of the new Tyne 20 at Portsmouth, in which vessel he sailed with despatches for the East Indies that month. At Bombay on 19 June 1815 he took command of the new Wellesley 74, which had been constructed at that port, but shortly afterwards he removed to Doris 36 which he brought home with despatches to be paid off in the Thames in March 1816. In the meantime he had been nominated a C.B on 4 June 1815. Continuing in immediate employment, Harper joined the Wye 20, which he sailed for Quebec at the end of June giving passage to Lieutenant-General David Latimer Tinling-Widrington and his suite. He remained at Halifax for the best part of the next three years, and upon his return he went on half pay in December 1818 after thirty-six years almost continuous service. Retiring to Dorking, Surrey, Harper did not see any further service but on 1 October 1846 was placed on the retired list as a rear-admiral, although with no increase in pay. He died on 2 July 1855 at his residence near Guildford, Surrey. Harper was married firstly in 1805, and on the second occasion on 30 October 1834 at Ockley, Surrey, to a widow, Susannah Maria Young of that county. He had at least two sons and two daughters from his first marriage. His eldest son, John Horatio Harper, died on board the Arab 16 which was lost with all hands off County Mayo, Ireland, on 18 December 1823. His only surviving son, Theodore Hoste Harper, a civil engineer, died of cholera at Calcutta in 1862.